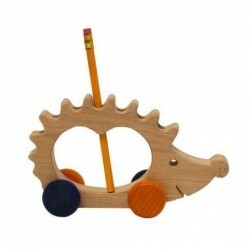 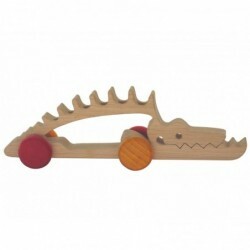 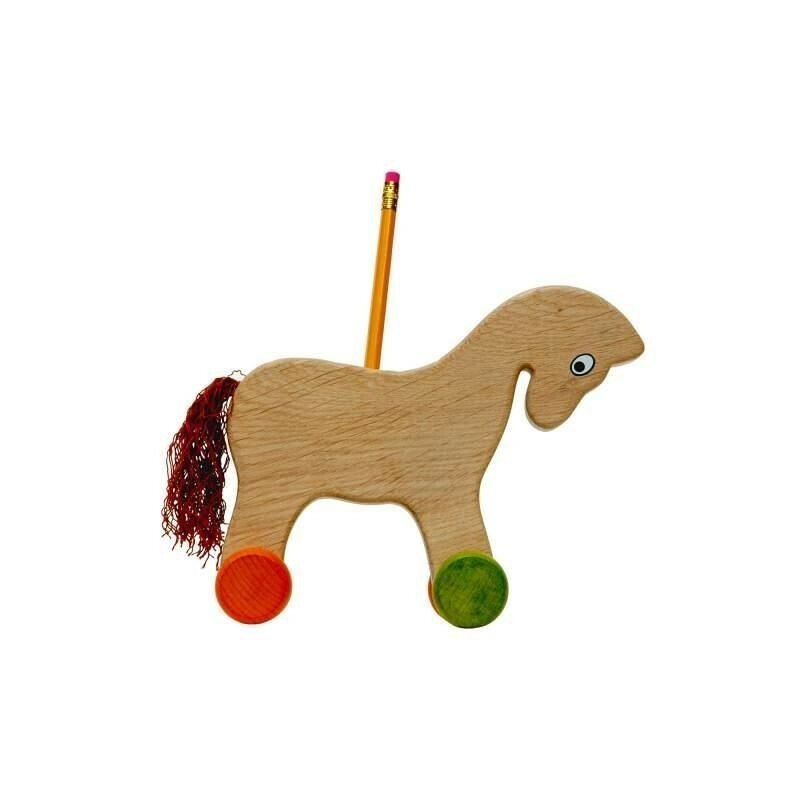 Wooden holder for crayons and pencils in the shape of a horse. 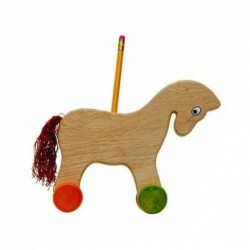 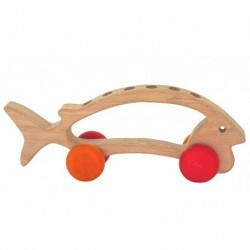 The horse is made of beech wood, which comes from czech forests. 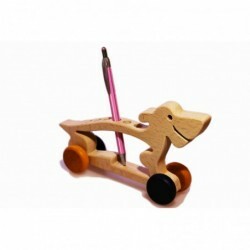 Size: 20H x 16,5W x 4,5 D (cm).